OMC Product Update (June 1st, 2011). 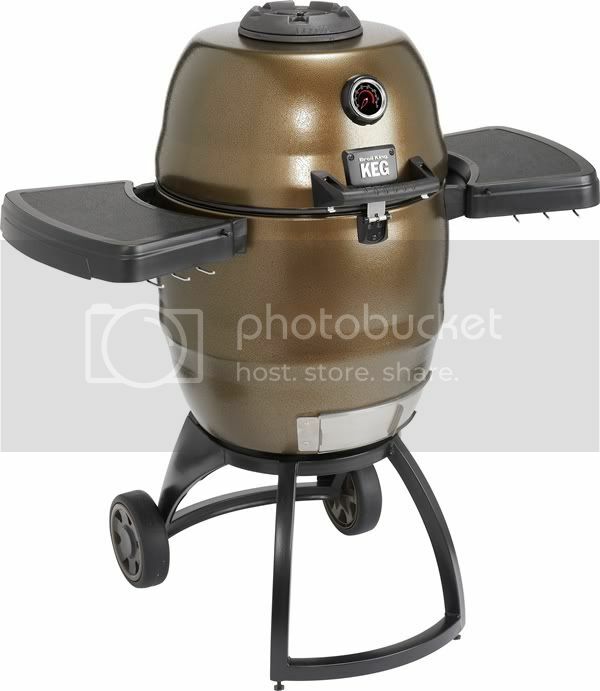 Broil King Keg Forum > Keg News and Events > Keg Announcements (Moderator: BBQRich) > OMC Product Update (June 1st, 2011). There have been lots of posts recently of the new BSK 2000, talk of the newly named Broil King Keg 4000 and the the domian name to go along with it. Boat-n-BBQ and I have been communicating to OMC off and on with forum communication, although they have been on here and reading quite often. We received the following email about a month ago (after my visit to their head office) with some information, but they asked we held onto it until they had their new site up and running. The new site was to launch today (June 1st), but is still a work in progress (soon), so they have asked us to update you and confirm a few things being posted on here. I am not an OMC employee, nor contracted/paid by them, I am just helping to keep this forum going strong and am passing along some information to you , provided by OMC. Hopefully this will help confirm most of what has already been talked about here, and get you ready for the stuff to come. I know I am looking forward to it. Thanks again for your patience and your continued support of our product and the forum. It’s great to see all the excitement and passion surrounding the product, and we are looking forward to growing the community in the years to come. Here is a quick overview of what’s to come for 2011. I would prefer to wait until we are ready to launch the product site before we make any formal announcement to the forum, as I think it will be easier to show ( i.e. on the website) then try and explain in a post. However you can advise them that the new product will be arriving in stores in June. As you know we purchased the BSK line of grills in late 2010, and based on timing, we refrained from making significant changes to the product, in order to ensure delivery. We did add more stainless steel hardware to help prevent rusting and we have added gaskets behind the thermometer and re-tooled the top damper to help prevent water from getting into the walls of the keg. The most significant difference between the 2010 and 2011 model will be the brand name. The 2011 model will now carry the Broil King brand name, and be branded Broil King Keg. It will feature a new logo and thermometer design. We were very impressed with the Keg’s cooking performance and quality features, and felt that it aligned nicely with our current line of Broil King Gas Grills. We will also be rebranding the accessory line, I don’t have all the details on the items yet, but I will update you when I can. The Broil King Keg will be available at the following Canadian retailers – Ontario Gas Barbecue, Barbecues Galore, TA Appliances, and Home Hardware stores across Canada. When we update the website we will be adding a retailer locator to make finding a unit easier. The MSRP on this unit will be $849 in Canada and the USA. We will also be introducing a scaled down version to the Keg family in 2011. This new model will keep the brand name, Big Steel Keg and feature the same design and materials as the original. The main differences are - it will feature a chrome cooking grid instead of cast iron, and will not include a warming rack or side shelves. The unit will also feature a stationary cart, and classic black paint finish. This model will be sold at Orchard Supply Hardware in the US, as well as Canadian retailers Ontario Gas Barbecue and Barbecues Galore. MSRP for this unit is $649 in Canada and the US. We are still confirming retailers, and I am very confident the list will grow in the coming weeks. As per my note yesterday we still have 2010 models available for purchase from Ace in the US and from Home Hardware in Canada. Hopes this helps answer a few of the questions on the forum. If there are further details that I can provide or you have any concerns please let me know and we welcome your thoughts and feedback. The updated website should be ready to launch within the coming weeks. Re: OMC Product Update (June 1st, 2011). Along with all of the new accessories, OMC have also purchased and will be distributing the TruCue lump charcoal, including Canada. 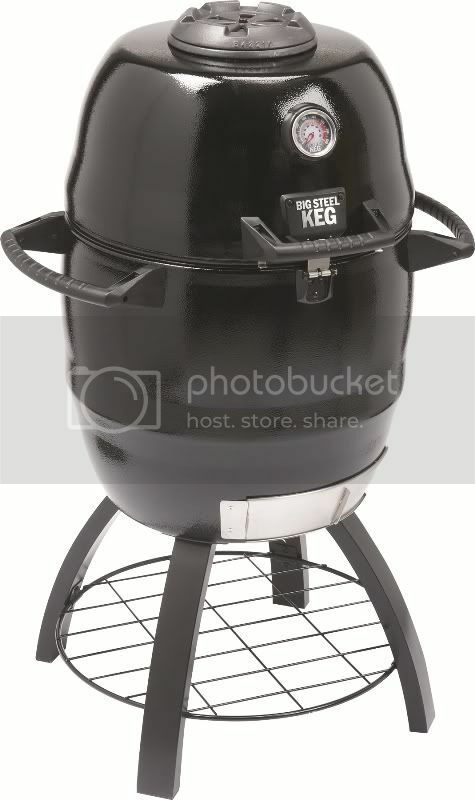 The Broil King Keg (4000) is basically the same as the current BSK, except a name change, modification the to the top vent (now drains down, outside the keg), the galvanized pieces have been changed to stainless steel and the dome thermometer has a gasket in behind. The BSK (2000) is the exact same construction, material and characteristics of the Broil King Keg, except comes in at the entry level (accessory wise), with options to add add and upgrade as needed. It is not trailer hitch adaptable out of the box (and I currently do not know if this will be an option). Nice Beav. Good to see some info from OMC. Broil King Keg? That name does nothing for me, don't know about you guys. Again, thanks for the post and the info. It's nice to finally see and read all the info on the new models. I can't wait for them to hit Florida. Nice job keeping this info under your hat. OMC should give you a lil something for keeping the details so hush hush for the last month, while most of us who are waiting both patiently and impatiently, have been ranting on here. Anyway, again, sincerely thanks for providing the info update. Okay, thanks for the information. However, where are we supposed to buy one in the US, unless we happen to live in or around Orange County, California? Is Sears going to get the 2011 models? Does the new black BSK have the hardware improvements made to the Broil King? Namely the rust proof hardware, top damper change, and the thermometer seal? Also, the Orchard Supply price of $400 seems like a huge discount from the list of $649. Is $400 the more likely "street price" of this product? waldo, I don't know for sure, but looking at the new BSK pic, it has the newer thermometer in it, etc. I beleive it also incorporates all of the new enhancements, just has less accessories, but I will confirm for you. Im curious as to what they did to prevent water from getting in the top vent since one of my kegs has water in the lid between the walls. Did the change prevent it from leaking into the top through the holes in the vent or did they do something different with the bottom of the vent where it meets the top of the lid? Yes, the new BSK (2000) does have all of the enhancements (galvinized replaced with stainless, new top vent, therm. seal) as the BKK does. And the BSK (2000) is non-towable. Beav thanks for the information, I think the least that OMC could do for you is outfit you with that second keg you have been wanting. OMC are you listening. Thanks for checking on that! Now they just have to get them distributed some more convenient place for me between Ontario and Southern California.